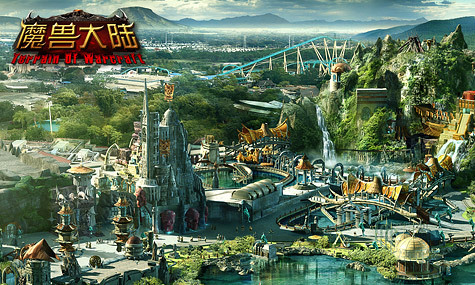 Is China Building a Warcraft and Starcraft Theme Park? 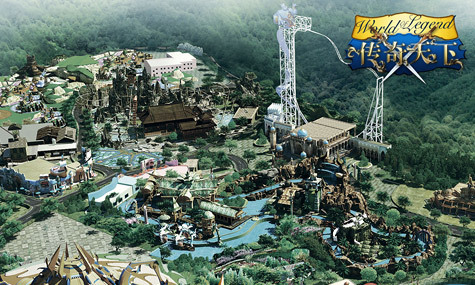 Even if images of a Blizzard-themed Amusement park are fake, they're still pretty cool. Instead of blasting through Space Mountain with Mickey Mouse at Disney World, imagine if you could sit next to Kerrigan while zooming around Starcraft: The Ride, or hang out with Thrall on the tea cups of Orgrimmar. 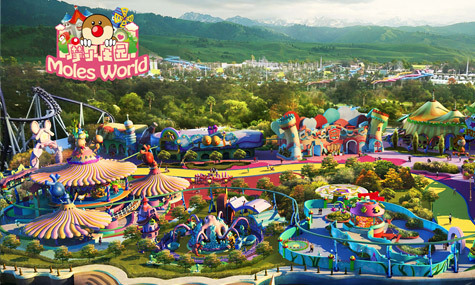 This is evidently the basic idea behind some of the areas in China's upcoming Joyland Theme Park. French gaming site GameBlog is reporting that Joyland, supposedly opening in March 2011, will feature areas such as the "Terrain of Warcraft" and the "Universe of Starcraft." 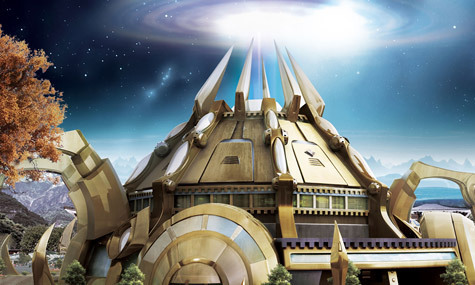 Concept images show structures that look like Silvermoon City from World of Warcraft and those built by the Protoss. Joyland isn't entirely Blizzard-themed, with other areas that include "Moles World" and the "World of Legend." 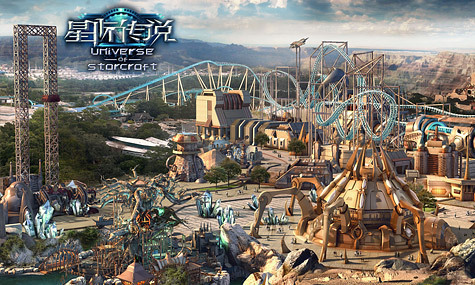 It'll also have a videogame museum and an area where park-goers can battle against each other in e-sports, presumably meaning Starcraft. The appearances of Blizzard's properties in Joyland is a big surprise, raising questions if they're legal, were approved, or are even real. The Joyland website seems genuine enough, but a Starcraft and Warcraft theme park seems too awesome to be in this plane of reality. Perhaps more information, and pictures, will come out after Joyland's grand opening.